Mothers baby milk freedom power and our future. "Formula is not breastmilk. Saying it's closer than ever to breastmilk is like saying if I climb a step ladder I am closer to the moon" ~ Maureen Minchin. Mumma nursing her sweet healthy boy. Shouldn't our whole world revolve around their needs? Their bond is securing a healthy future for our species and our planet. Our world revolves around money and power and something, a nameless evil, I don't even know what...something that is the opposite of goodness,health, peace, love and growth. Some people get it and respect their fellow humans, the other residents of our planet, and our mother earth herself. Many haven't given it much thought. Some have been so damaged by our prevailing culture that the sight of the loving exchange in this picture does not arouse in them normal human feelings of altruism, respect for fellow members of the species or protectiveness of our young. In contrast to these adaptive, protective and normal human feelings, some people feel hostile and maladaptive emotions in response to this scene. Instead of questioning this, or suppressing this emotion, or simply moving on without comment, they actually feel able, empowered, impelled, in fact, to disturb this dynamic. When you consider the possible consequences for the infant and mother and therefore also for their family and extended network and for our whole society, the fact that a person, corporation or culture would be capable of doing this to a baby is astonishing. The vulnerability of the baby and the fact that a mother is not likely to shout or fight back because it would upset her infant and stop the flow of milk temporarily, means that individuals feel safe to rudely intrude on this human function in a way that they would not dream of doing if the pair were mammals of a different species. Because we all know what happens when you frighten, stress or disturb a mother cat. Her bond is broken and she rejects her babies. 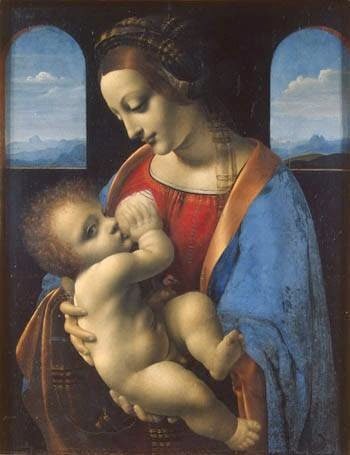 It is a testament to many mothers' courage, determination and love that their bond with their baby is as healthy as it is,when the prevailing culture has built in subtle, insidious and all-pervading interference with bonding and continuous nurturing at all the most sensitive and significant points. Questions spring to mind. How can we do this or allow it to be done to the youngest and most vulnerable of our species? Why would we think it is a necessary or valuable contribution to the human race to jeopardise the bond a defenceless baby is developing with the human who is going to care for them? Why would we sabotage our species' future like that? Human milk is the only harm-less, healthy, complete, healing, short and long-term health promoting, ecologically sound, delivered by a system that promotes neurological and social development and love, individually tailored, adaptable, responsive food that we have we have. Oh, and it's free. People can nurture and nourish their young free of dependence on big corporations or the need to spend more money or time than is necessary. Maybe our love and our milk is too powerful. Maybe it makes us too free.